DION - LITTLE DIANE / LOST FOR SURE (3134) VG+ cond. 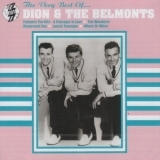 Dion and the Belmonts ! Sorry, no matches on iTunes for "Little Diane Dion Belmonts".